The second time Jung Jae fled Seoul, she left her son Pong Suk behind. They had escaped together when North Korean forces captured the city six months earlier and then returned as soon as U.S. and South Korean forces took it back, but in January 1951 the North Koreans crossed the Han River again, and this time was far more frightening. Jung Jae was certain that Pong Suk would be grabbed, if not by the Communists then by the South Korean troops who were conscripting every able-bodied man they could get their hands on. Her husband had died in 1936, and Jung Jae depended on her twenty-two-year-old son too much to risk losing him. An elder in her church who had vowed to remain in Seoul despite the Communist advance said he would protect Pong Suk by hiding him in the basement of the pharmacy he owned, and Jung Jae felt she had no choice but to trust him. It was the last time she saw Pong Suk. By then, the only way out of Seoul was on a single freight train headed to Busan, the port city about three hundred miles to the southeast, at the tip of the Korean Peninsula. There would be no more trains after this one, and desperate residents were fighting to get aboard. Jung Jae, fifty years old, and Nam Soo managed to climb on top of a boxcar and claim a small space open to the elements. They stayed there all the way to Busan, huddled with others in the January cold, buffeted by wind and rain and snow, with only a single blanket for the two of them. Some of the people crowded around them developed frostbite or hypothermia; some fell off the train; some froze to death. Jung Jae and Nam Soo, clinging tightly to each other for three days and two nights, somehow survived the trip, and in Busan, they found relatives willing to take them in. But the trip had taken its toll. Five months later, weakened by her ordeal on the train and sickened by guilt and anxiety over her decision to leave Pong Suk to his fate in Seoul, Jung Jae suffered a heart attack and died, not knowing what had become of her son. The pharmacist had hidden Pong Suk well. The North Koreans did not find him during their three-month reoccupation of Seoul, and he was not detected till the day U.S. forces showed up at the pharmacy looking for medicine. Not understanding English and unable to determine what the Americans wanted, the pharmacist reluctantly called Pong Suk out from his hiding place to help him communicate. Pong Suk had studied English in school and was somewhat able to interpret. Impressed by his language ability and much in need of Korean speakers to assist in the war effort, the Americans conscripted him on the spot and took him away with them to work as an interpreter at a U.S. base in Daegu, about seventy miles northwest of Busan. Several months later, on a weekend leave, Pong Suk went to Busan to locate his mother and sister. It fell to Nam Soo, now fifteen years old and alone, to tell her brother that their mother had died. Recalling the moment more than sixty years later, she could not stop crying. With his fluency in English and his experience working with the American military, Pong Suk qualified for a scholarship to study in the United States and received a student visa. He left Korea on a boat in 1954, with no intention of ever going back. His scholarship took him to Simpson College, a four-year institution in the small town of Indianola, Iowa. It was hardly a place where he could feel at home, but Pong Suk was thrilled by the opportunity. With his visa to enter the United States in the 1950s, he was in a select Korean group of senior government officials, students, war brides, and some Korean military personnel who had been associated with U.S. forces during the war or were pursuing additional military training in the United States. Outside those special categories, it was nearly impossible for Koreans to immigrate. Before leaving, Pong Suk told Nam Soo and his other sister, Soon Sung, that he wanted them to join him. “As soon as I get to America and get settled down, I will find a way for you to come,” he promised, but they knew it was unlikely. Pong Suk did eventually manage to line up a Simpson College scholarship for Nam Soo, but getting her a visa was likely to be a challenge and in any case there was no money for her to make the trip. After the war, Nam Soo returned to Seoul and reunited with Soon Sung, who was fifteen years older and had an eight-year-old daughter of her own. Soon Sung’s husband had died before the war, and she and Nam Soo were both penniless, a condition they shared with many others in Seoul. Much of the housing had been destroyed, and after three years of war, a quarter of the population was homeless. The two sisters and Soon Sung’s daughter found space in a shelter run by their church and lived there with other women. It could have been much worse. Of the 300,000 South Korean women who lost their husbands during the war, many were left with their children to wander the streets of Seoul or across the Korean countryside, scrounging for food. Such conditions lingered for years. By 1960, the annual per capita income in South Korea was still below $100, comparable to the poorest countries in Africa. Nam Soo was able to get a low-paying job as a clerk in a government office but her older sister, having to care for her daughter, was able only to do some work at the church where the women had taken shelter. When the three of them left the church, it was only to share a single room they had rented in someone else’s house. Arranged marriages were common in rural Korea at the time, but the union of Lee Jeom Chul and Seong Nak ManI in 1957 was nevertheless notable for the way it was thrust upon the young couple without any consideration of their wishes. The father of the groom and the father of the bride, occasional drinking buddies in the village of Jimshil, were both practical men. “Hey, you have a daughter, don’t you?” Nak Man’s father asked his friend one day. The man’s wife had health problems, and though their son was just seventeen, the wife had lately been complaining that she wanted their boy married, so she could get a daughter-in-law to take over her household chores. The girl, Jeom Chul, was already twenty and suitable for the role. When Nak Man’s father suggested that the two young people wed, Jeom Chul’s father readily agreed, not bothering to consult either his daughter or his wife. The deal was done. Though they had been raised in the same village, Jeom Chul and Nak Man were essentially strangers, and the day of their marriage was one of the first times they had set eyes on each other. Overnight, Jeom Chul’s life turned miserable. As was expected, she moved in with Nak Man, his parents, and his four younger siblings, the youngest of whom was just seven years old. Nak Man’s mother informed Jeom Chul that from that day on she would be responsible for all the cooking in the house plus the family laundry, which had to be done in a nearby river. Thus began nearly twenty years of abuse under the roof of her-in-laws. Though it was not a life she had chosen, Jeom Chul accepted it, at least in the beginning, guided by her sense of duty to elders and family. In the winter, when she sat by the river pounding the family laundry against the stones in the icy water, Jeom Chul’s hands would turn numb. In the fall, she had to help with the wheat and potato harvest, and during the spring planting season she spent hours bent over in the rice paddies, placing the rice seedlings one by one in the water bed. At the end of the day, she had to pick the leeches off her legs. The extended Seong family lived in a traditional Korean farmhouse, built around a central courtyard. There was no electricity or plumbing. The water was drawn from a well in the courtyard, and the cooking was done over wood fires. South Korea had yet to escape poverty, and life in rural villages like Jimshil was especially hard. In early 1960, shortly after the birth of her first son, Jeom Chul decided she could no longer tolerate her mother-in-law’s treatment, and she got up one night and left the house, heading to her parents’ home in the same village. She arrived in tears, knowing that under Korean law and tradition, leaving her husband would mean giving up her child, but she was nevertheless hoping for some sympathy from her own mother and father. “I can’t do this anymore,” she cried. “They are so mean to me.” Her father, the man responsible for her predicament, was unmoved by her plea and slapped her hard across the face. “What are you doing here?” he said. “You don’t belong here. You belong there. You are married now!” and he shoved her out the door. From that night on, with her parents refusing to offer support at her most vulnerable moment, Jeom Chul knew she had nowhere else to turn. She went back to live with the Seong family, resigned to her fate. Over the next ten years, Jeom Chul and Nak Man had three more children, two more boys and then a girl. As the oldest son, Nak Man was obligated to support his younger siblings and his parents in addition to his own children. With no employment opportunities in the Jimshil area, he sought work elsewhere, and in the spring of 1970 he had a job in Busan, the city at the bottom of the Korean Peninsula, where he lived in a single rented room. Jeom Chul by then was pregnant with her fourth child, and as her delivery date drew near she joined him in Busan. She gave birth in that rented room without assistance, holding on to a doorknob for support and cutting the umbilical cord by herself. They named the girl Gyeong, meaning precious. In traditional Korean families, girls are often less valued than boys, because they do not carry on the family name, but Gyeong was an exception. With three older brothers able to maintain the Seong line, Gyeong’s parents were overjoyed to have a girl at last, and they treated her like a princess. Indeed, Gyeong’s early childhood was largely carefree. She knew little of the way her grandmother had treated her mother, because Jeom Chul would not complain, nor did Jeom Chul burden Gyeong with chores. She played in the dirt with friends and roamed the nearby hillsides with her brothers looking for chestnuts. When she was a bit older, she was responsible for grazing the family cow, but even that task was an easy one. She did lose track of the cow one day when she was playing in the pasture with friends and failed to notice it getting dark, but no harm was done. The cow, knowing it was time to be fed, had walked home on its own and was eating contentedly in its stall when Gyeong came rushing back in tears, ready to confess her negligence. As Nak Man’s mother grew older and more infirm, she became all the more demanding of her son and daughter-in-law, and their life in Jimshil was increasingly intolerable. Jeom Chul no longer had to work in the fields, but she still had to care for Nak Man’s parents, and his mother’s criticism was ever sharper and meaner. Jeom Chul could not even give her children a weekly bath without being told she was wasting water. For Nak Man, the moment he had dreaded for nearly twenty years was finally arriving: He would have to choose between the interests of his wife and children and his duty as a son to support his parents. For a Korean man, it was an excruciating dilemma, but Nak Man knew what he had to do. I. Koreans use their surname first, followed by their given names. “Lee” and “Seong” are family names. In America, Korean immigrants generally adopt the English form and reverse the order, putting their surnames last. 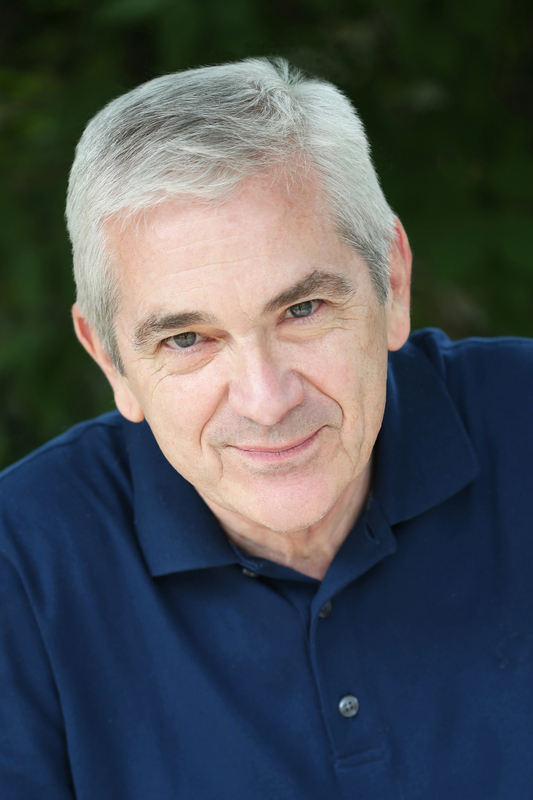 Tom Gjelten is a veteran journalist and author of Sarajevo Daily: A City and Its Newspaper Under Siege and Bacardi and the Long Fight for Cuba: The Biography of a Cause. Over a thirty-year career as a correspondent for NPR News, he has covered wars in Central America, the Middle East, and the former Yugoslavia, as well as major national stories in the United States. His NPR reporting has won him two Overseas Press Club Awards, a George Polk Award, and a Robert F. Kennedy Journalism Award. He is a regular panelist on the PBS program Washington Week, a member of the Council on Foreign Relations, and a member of the Editorial Board at World Affairs Journal. "Powerful human stories. . . . Gjelten has produced a compelling and informative account of the impact of the 1965 reforms, one that is indispensable reading at a time when anti-immigrant demagoguery has again found its way onto the main stage of political discourse." "For anyone who believes passionately in the American ideal— that we are a nation, while occasionally distracted or knocked off track, striving to live closer to its founding principle, that 'all are created equal'—A Nation of Nations is a welcome addition to enlarging our understanding of each other and the possibilities of the United States." “Builds through the accumulation of detail to a book of impressive heft." “The 21st century will be defined by seismic global immigration, remapping human interaction to the core, and the United States will remain the model for other nations to emulate. Tom Gjelten understands why, not only because he is a byproduct of immigration, but because he has been in the trenches—the inner cities, the rural landscapes, the contested borders--where America is reborn on a daily basis. In this probing exploration, he explains, lucidly and with compassion, the extent to which the motto e pluribus unum is the engine of progress." 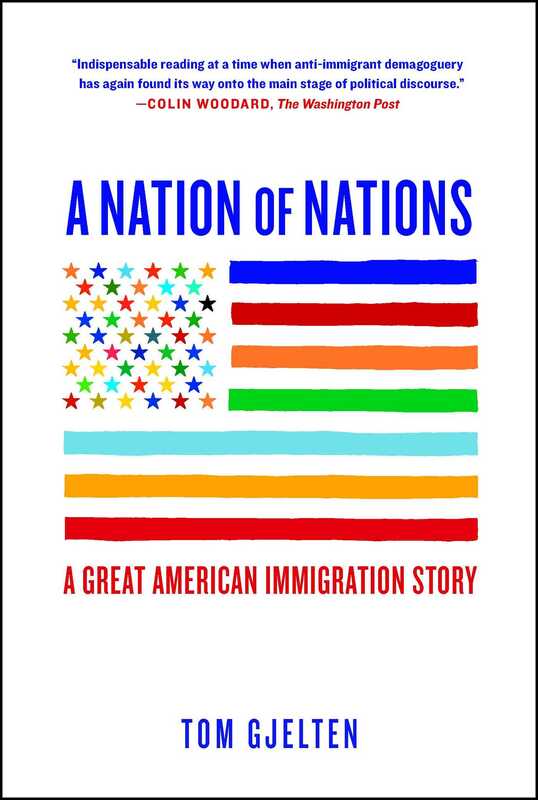 "An incisive look at immigration, assimilation, and national identity. . . . A timely, well-informed entry into a national debate."